Colors like gold, silver and bronze is pretty hard to play with – either you overdo it, or it is underdone. These colors make spaces stand out especially because of the shiny or patina factor to them. In using these colors in the materials could either be used in terms of decoration, furniture or even in the fabric for the pillows or the linens used in the room. Today, we will be showing you a list of complete awesomeness – glamour, sophistication and sass! 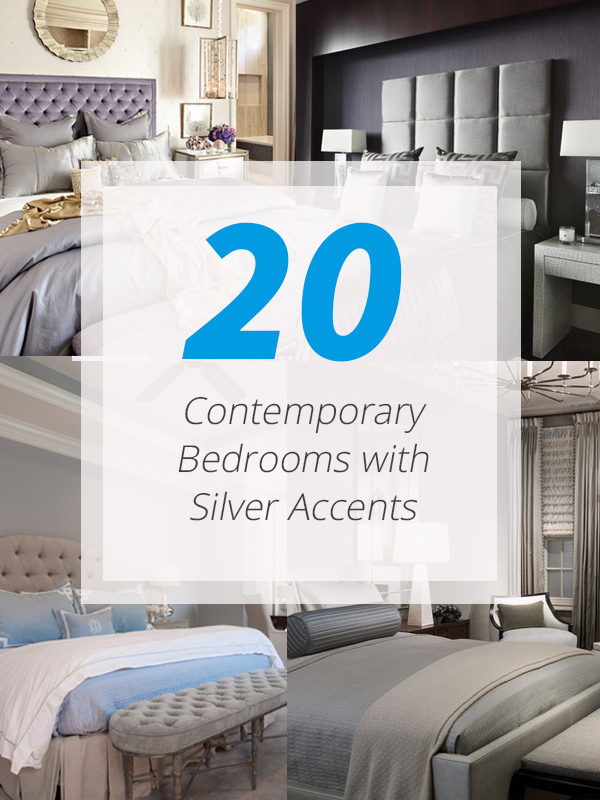 We will be presenting you with 20 Contemporary Bedrooms with Silver Accents! If you saw the list we have here about using gold in the living room, this one would be similar to it only that it will sometimes be hard to decipher from grey – but if you love silver, you know that it will always shine through, check it out! Looking at the bed frame and head board of this bed is one stunning staple in this space that makes it interesting and fancy looking. Silver coffee tables and one stunning silver bed! This bedroom sure looks like a gift wrapped for me for Christmas! The silver body of the lamps on the night stand adds more pizzazz to this all-white bedroom! 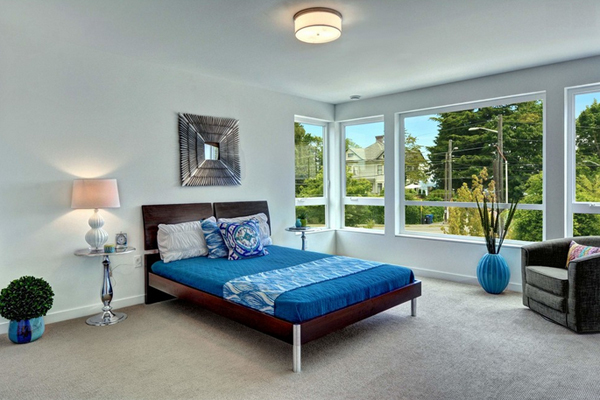 This bedroom pretty much looks like your regular contemporary bedroom! Adding trimmings like the lamps and the awesome night stands to them makes all the difference. 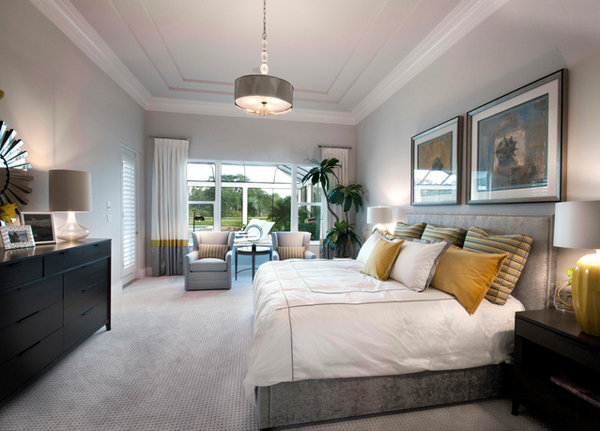 Awesome drapes and one stunning silver chair at the foot of your bed completes the look of this bedroom! Decorating a bedroom as beautiful as this one is not easy – but take a look at this space and you’d realize that there are only a few things you need in making it look like it does. There is only a few things inside this bedroom and it sure looks stunning. Note the lovely view this bedroom has from the top. 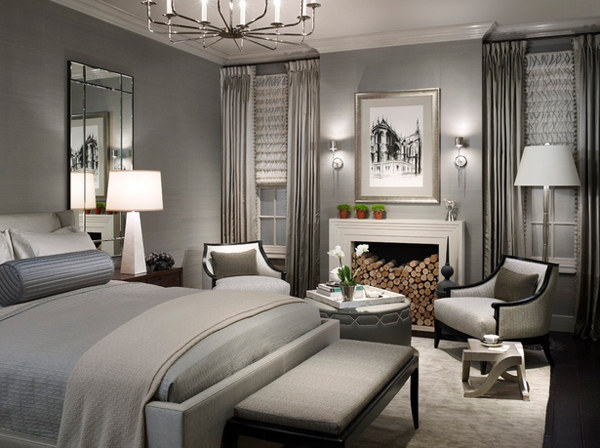 I love how silver and shiny this bedroom looks like. 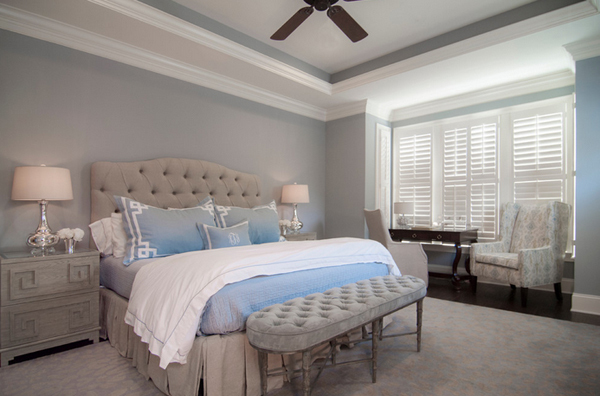 This lovely bedroom is one circular ottoman away from one another simple bedroom you see in the magazine! 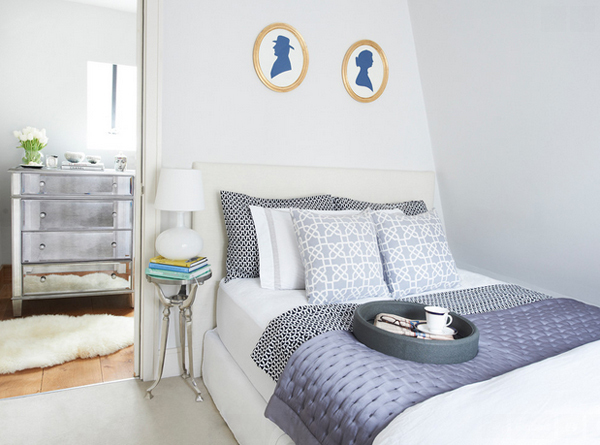 Sasha Meredith sure made this tiny bedroom look as fancy as it can be! 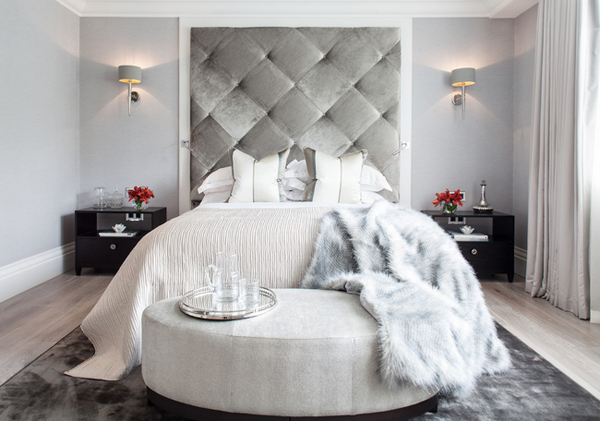 Grey bedroom with silver accents here and there – just lovely! Need to add a bit of sass in your bedroom? Go get a large mirror and display it on a plain wall – works all the time! That silver decor on the end of the room sure is intriguing! 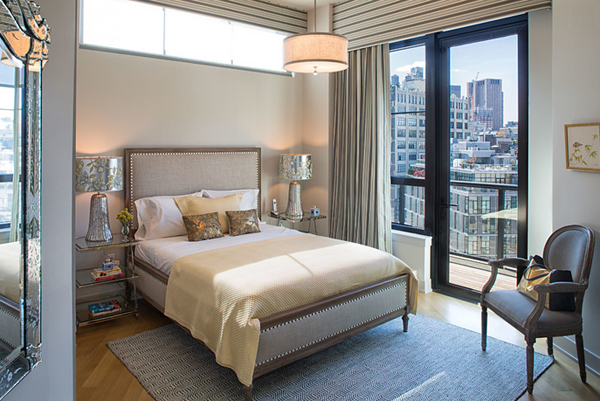 Additional to the already gorgeous bedroom is the stunning view it has of the city below it! I really love the intricate details on this bedroom – the mirror and the cabinet on the side plus the different designed lamps on both ends of the bed! This blue and silver color palette works all the time! Whether it is for a woman or a New York gal! 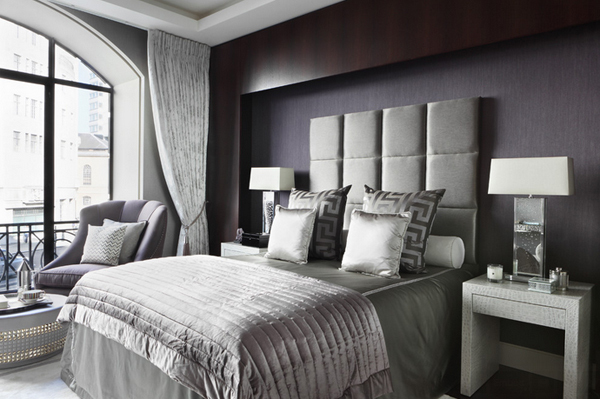 We already featured this bedroom on one of our lists before – check out the fancy head board that this bed have! Silver night stand complements the blue and brown bed. Look at how stunning this rectangular foot stool is! Need a special feat for your bedroom? Why not add a stunning silver pendant and it will surely be awesome! 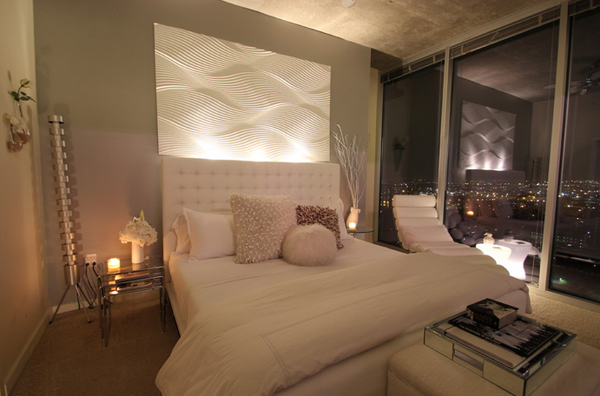 Isn’t this one beautiful bedroom with all that silver lamp shades and plant holders! The linens used in this space is just lovely! There are other stunning lists we have created before to showcase awesome bedroom designs that shows us how to work around it with purple accents, so this list sure made a difference because as common silver is, people, especially home owners are hesitant in using it aside from silverware in the kitchen – but hey, this list sure was pretty! What did you think about it?